Russian President Vladimir Putin has signed a federal law on ratifying an agreement between Russia and Syria on the deployment of an aviation group of the Russian armed forces in the Syrian Arab Republic, the Kremlin press service reported on Friday. The law was passed by Russia’s State Duma on October 7, 2016, and approved by the Federation Council on October 12, 2016. The agreement was signed in Damascus on August 26, 2015. Almost a year later – on August 9, 2016 – it was submitted by Russia’s president to the State Duma for ratification. 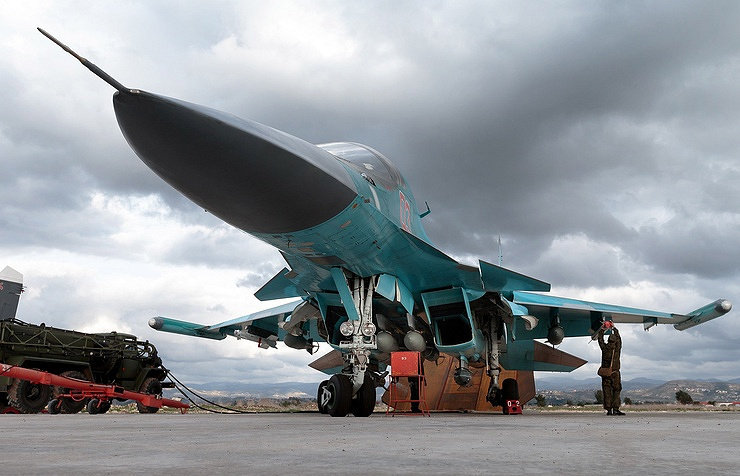 The deal stipulates that the Russian air force group will be deployed at the request of the Syrian side at the Hmeymim airfield in the Latakia province indefinitely and on a pro bono basis. The Russian air group was deployed to Syria at the request of President Bashar al-Assad. It is located at Hmeymim airfield (Latakia province), which, together with its infrastructure and the necessary territory, is available for use by the Russian side on a non-repayable basis. The air group’s composition is determined by an agreement between the parties. Russia launched an operation in Syria to combat terrorism on September 30, 2015. In March 2016, Russian President Vladimir Putin ordered to withdraw the main part of the Russian air group from Syria.